After our 14.3 mile hike, we decided to take it easy the next day. We also decided to make our television debut by being part of the crowd at the Today show. On our first day in New York, Dad asked one of the security guards outside of the Today studio if dogs were allowed to be a part of the crowd and the guard said yes. So we got up early to be outside the studio by 6:30. We even made signs. When we arrived, there were hardy any people there and Mom and Dad were excited because they were sure we'd get on TV. Then the guards turned us away. The nerve! 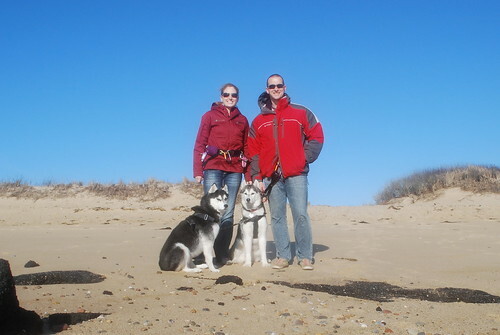 How dare they turn away two super cute Siberian Huskies. To make things worse, the half of the crowd was University of Connecticut cheerleaders and they totally needed us there to be their mascot. We were disappointed and sulked across the street with our signs. 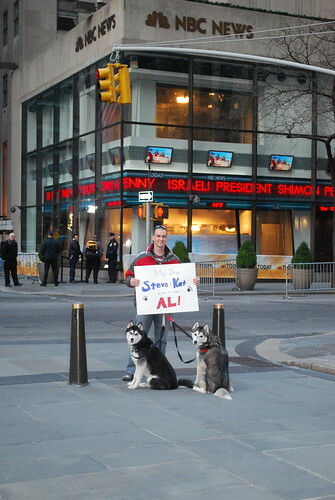 "My dogs Steve & Kat want to meet Al!" 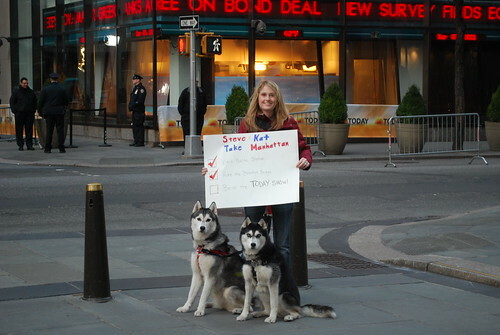 "Steve & Kat Take Manhattan: Visit Balto Statue (check), Hike the Brooklyn Bridge (check), Be on the Today show (not checked)". After the huge disappointment of the Today show, Dad managed to retreive the 4Runner from the parking storage locker and we headed out of NYC. 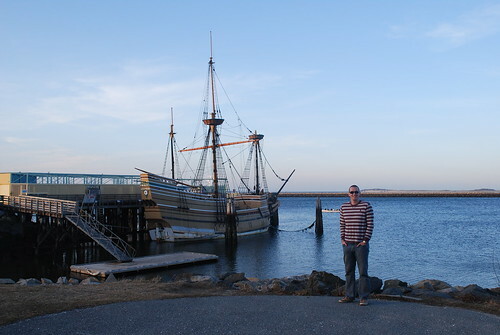 We drove all the way to the very tip of Cape Cod. It was very windy and cold there. I loved it. 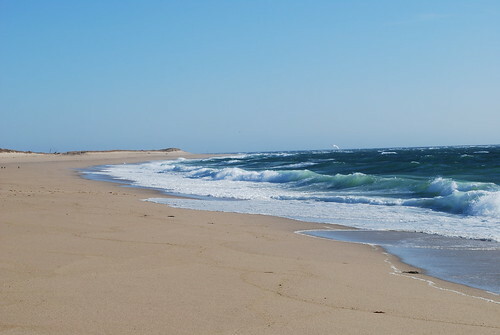 I love the beach and the ocean! 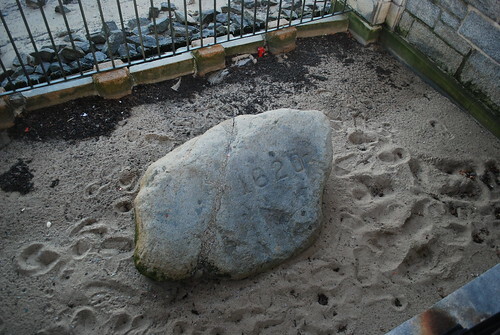 We also stopped by Plymouth to see the rock and the Mayflower. No big walking for this day. It was nice to rest in the back of the 4Runner.